The difference between a mediocre Car Removal Company and one that is fantastic is determined by more than the services offered. What sets Car Removal Companies at the top of the list is great cash payouts and services. Metro Car Removal is in the business of buying cars of any make and condition and known for our high payouts and excellent removal services. Our Cash for Scrap Cars offers to pass our competitors because we are Scrap Car Wreckers that know our business. We aren’t a middle man, but the wrecking yard and expert wreckers that do the job themselves. With our Green Car Recycling standards, we recycle more of vehicles, getting better value from each auto we recycle. Our eco-friendly Car Recycling allows us to make Cash for Scrap Car offers up to $7000. We know time is valuable, and vehicle owners don’t want to take the out of their day for vehicle inspections before they have an idea of the price we’ll make them for their vehicle. We also don’t like to waste time and have an easy to obtain cash quoting system. We make Cash offers over the phone and through our web page, so you know within minutes the price we’ll offer you for your unwanted vehicle. The best quotes on vehicles of any make, model, age, and condition – up to $7,000 Cash for Scrap Cars, trucks, vans, 4x4s, Utes, Jeeps, buses, SUVs, & bikes. Instant Cash for Scrap Cars Payments – you will have our cash offer in your hand as soon as all paperwork is signed. Free Scrap Car Removals – avoid the towing costs and the hassles of prepping and loading your scrap car for disposal. 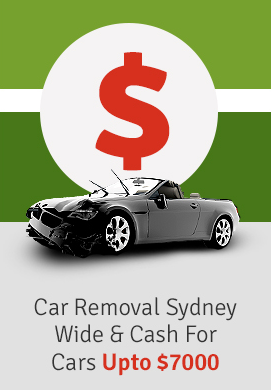 Metro Car Removal provides our customers with Free Scrap Car Removals 24/7 to all Sydney locations. Eco-friendly Car Disposals – vehicle owners can expect the best cash for their scrap auto because we are the Green Car Recyclers in Sydney. Get our best cash offer for your scrap auto, and the convenient Car Removal services that eliminate all the hassles of prepping and towing your vehicle to us. Give Metro Car Removal a call today.